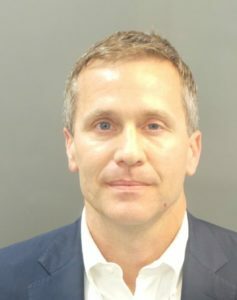 St. Louis Circuit Judge Rex Burlison did not make a ruling Tuesday on whether or not he will appoint a special prosecutor in the felony computer tampering case against Governor Eric Greitens. Burlison did, however, ask both sides to give suggestions on who should prosecute the case. 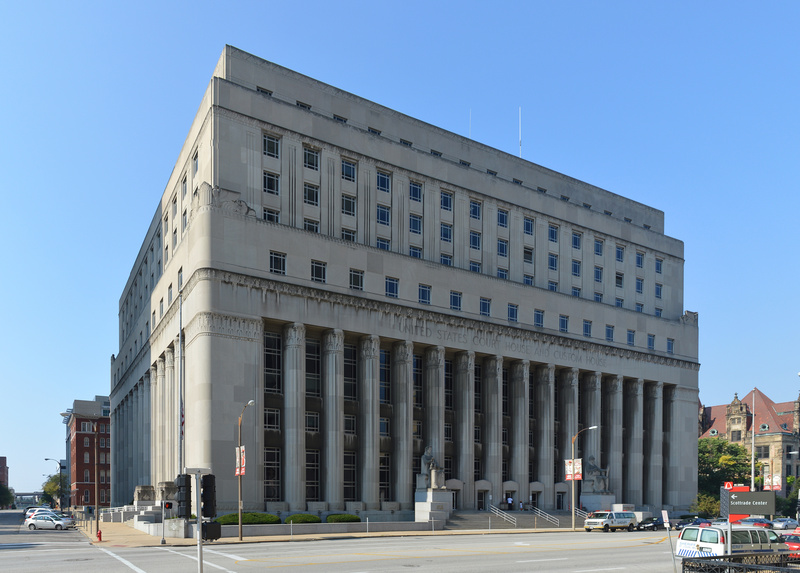 The defense team representing Greitens filed a motion Monday afternoon seeking to disqualify St. Louis Circuit Attorney Kim Gardner and her office in the felony computer tampering case based on her actions in the ongoing felony invasion of privacy case. The motion alleges serious misconduct by Gardner, her team and an investigator in the felony invasion of privacy case. William Don Tisaby, a former FBI agent hired by the prosecution to investigate the case, is accused of giving false testimony under oath and criminal perjury, along with allegations of withholding evidence. The motion also accuses the prosecutors of withholding evidence including a videotaped interview with the key witness and notes of that interview. The defense pointed out Monday that Tisaby remains on the prosecutor’s team, even though prosecutor’s vehemently denied that he is still the lead investigator. When asked Monday who was leading the prosecution’s investigation’s, Gardner sat back and did not respond. First Assistant Circuit Attorney Robert Steele broke the silence and claimed Anthony Box is the prosecution’s lead investigator. In court Tuesday, the prosecution fought back against allegations that Tisaby’s actions would taint the newest case. Gardner’s chief trial assistant Robert Dierker argued that Tisaby will have nothing to do with the felony computer tamping case and only conducted “minimal work” in identifying witnesses. Following the hearing, Ryan said most of the work on the computer tampering case was done by Box, the circuit attorney’s lead investigator. The defense is also seeking to bar Attorney General Josh Hawley from stepping up based on his comments on the governor. Following the release of the House investigative report, which graphically detailed Greitens’ extramarital affair, Hawley called on Greitens to resign, citing impeachable offenses in the report. Also on Tuesday, Greitens’ lawyers asked Burlison for permission to depose Al Watkins, the attorney representing the ex-husband of the woman at the center of the case, after he confirmed receiving two anonymous donations of $50,000 during a press conference outside the courthouse Monday. Burlison said he would not rule on the matter until Watkins, who was not in court Tuesday, was served with a subpoena by Greitens’ team. Burlison did say he would allow Greitens’ defense to obtain any financial records regarding the payments. Great web site. Lots of helpful information here. I’m sending it to some pals ans also sharing in delicious. And certainly, thanks in your effort! I was examining some of your blog posts on this site and I conceive this internet site is rattling instructive! Retain posting. Heya i’m for the first time here. I found this board and I find It really useful & it helped me out much. I am hoping to provide something again and help others such as you helped me. hello there and thank you in your info – I’ve definitely picked up something new from proper here. I did alternatively experience several technical points the usage of this website, as I experienced to reload the website many instances prior to I could get it to load properly. I had been wondering in case your web hosting is OK? No longer that I am complaining, however slow loading cases instances will sometimes impact your placement in google and could harm your high quality score if ads and ***********|advertising|advertising|advertising and *********** with Adwords. Well I am including this RSS to my email and could look out for much extra of your respective interesting content. Ensure that you update this again soon..
Utterly indited subject material, appreciate it for selective information. “In the fight between you and the world, back the world.” by Frank Zappa. I’m impressed, I need to say. Actually hardly ever do I encounter a weblog that’s each educative and entertaining, and let me let you know, you might have hit the nail on the head. Your thought is excellent; the issue is one thing that not enough people are talking intelligently about. I am very pleased that I stumbled across this in my search for one thing referring to this. I’ll right away clutch your rss feed as I can’t in finding your email subscription link or e-newsletter service. Do you’ve any? Kindly let me understand so that I could subscribe. Thanks. wonderful post, very informative. I ponder why the other specialists of this sector do not realize this. You must continue your writing. I am sure, you’ve a great readers’ base already! What i don’t realize is in reality how you are not really much more neatly-preferred than you may be right now. You’re so intelligent. You understand therefore significantly on the subject of this topic, made me individually imagine it from so many various angles. Its like men and women don’t seem to be interested unless it’s something to do with Lady gaga! Your own stuffs excellent. At all times deal with it up! I’ve been exploring for a bit for any high quality articles or weblog posts in this sort of house . Exploring in Yahoo I finally stumbled upon this web site. Studying this info So i’m satisfied to show that I have an incredibly just right uncanny feeling I came upon exactly what I needed. I such a lot indubitably will make sure to don’t put out of your mind this website and provides it a look regularly. I genuinely enjoy reading through on this web site, it contains wonderful articles. “The living is a species of the dead and not a very attractive one.” by Friedrich Wilhelm Nietzsche. whoah this blog is fantastic i love reading your articles. Keep up the great work! You know, many people are hunting around for this info, you can aid them greatly. After study a number of of the blog posts in your website now, and I truly like your manner of blogging. I bookmarked it to my bookmark website list and can be checking again soon. Pls try my web site as properly and let me know what you think. My partner and I stumbled over here by a different web address and thought I might as well check things out. I like what I see so i am just following you. Look forward to looking at your web page yet again. I liked up to you’ll receive carried out proper here. The sketch is attractive, your authored subject matter stylish. nevertheless, you command get bought an impatience over that you would like be delivering the following. unwell without a doubt come more until now once more as exactly the similar nearly a lot steadily inside of case you shield this hike. It¦s really a great and useful piece of information. I am satisfied that you shared this useful information with us. Please stay us informed like this. Thanks for sharing. What¦s Going down i am new to this, I stumbled upon this I have discovered It positively useful and it has helped me out loads. I’m hoping to give a contribution & aid different customers like its aided me. Good job. hello!,I like your writing so so much! percentage we communicate extra about your article on AOL? I require a specialist on this house to solve my problem. May be that is you! Looking ahead to see you. I’ve been exploring for a little bit for any high-quality articles or blog posts on this kind of house . Exploring in Yahoo I ultimately stumbled upon this website. Studying this information So i’m satisfied to exhibit that I’ve an incredibly excellent uncanny feeling I came upon exactly what I needed. I so much indubitably will make sure to don’t put out of your mind this website and give it a look regularly. Great – I should definitely pronounce, impressed with your site. I had no trouble navigating through all tabs as well as related information ended up being truly easy to do to access. I recently found what I hoped for before you know it in the least. Reasonably unusual. Is likely to appreciate it for those who add forums or something, site theme . a tones way for your customer to communicate. Nice task..
naturally like your web site however you need to check the spelling on several of your posts. Several of them are rife with spelling issues and I find it very troublesome to inform the reality on the other hand I will surely come again again. Hey there I am so glad I found your weblog, I really found you by mistake, while I was browsing on Bing for something else, Nonetheless I am here now and would just like to say thanks for a marvelous post and a all round enjoyable blog (I also love the theme/design), I don’t have time to browse it all at the moment but I have saved it and also added your RSS feeds, so when I have time I will be back to read a lot more, Please do keep up the fantastic work. Valuable information. Fortunate me I found your site accidentally, and I’m stunned why this twist of fate did not took place earlier! I bookmarked it. You actually make it seem really easy together with your presentation but I to find this matter to be really something which I feel I’d by no means understand. It kind of feels too complicated and extremely huge for me. I’m looking forward on your next submit, I?¦ll try to get the cling of it! Magnificent website. A lot of helpful information here. I am sending it to some pals ans additionally sharing in delicious. And obviously, thanks for your effort! Very efficiently written story. It will be valuable to everyone who usess it, including yours truly :). Keep doing what you are doing – for sure i will check out more posts. My husband and i ended up being quite joyous when Jordan managed to finish up his web research because of the precious recommendations he had in your web site. It’s not at all simplistic to just always be giving freely concepts the rest may have been making money from. And we remember we now have you to give thanks to because of that. All of the explanations you made, the easy blog menu, the friendships you can help foster – it is mostly terrific, and it is assisting our son in addition to us reason why this subject is awesome, and that is seriously serious. Thank you for the whole thing! I was examining some of your posts on this site and I conceive this internet site is rattling instructive! Keep putting up. It?¦s really a cool and helpful piece of information. I?¦m happy that you simply shared this useful information with us. Please keep us informed like this. Thanks for sharing. obviously like your web site but you have to check the spelling on several of your posts. Several of them are rife with spelling issues and I find it very troublesome to tell the truth nevertheless I’ll certainly come back again. F*ckin’ amazing issues here. I’m very glad to peer your article. Thank you so much and i’m having a look ahead to touch you. Will you kindly drop me a e-mail? You could definitely see your enthusiasm within the work you write. The sector hopes for even more passionate writers such as you who aren’t afraid to say how they believe. All the time follow your heart. It is the best time to make some plans for the future and it is time to be happy. I’ve read this post and if I could I wish to suggest you some interesting things or suggestions. Perhaps you can write next articles referring to this article. I want to read more things about it! In the awesome design of things you actually secure an A+ just for hard work. Exactly where you actually misplaced us was first on the facts. You know, people say, the devil is in the details… And that couldn’t be more accurate right here. Having said that, allow me say to you just what exactly did give good results. Your article (parts of it) is definitely very powerful which is probably why I am taking the effort to comment. I do not really make it a regular habit of doing that. Next, while I can easily see a leaps in reason you come up with, I am not really convinced of just how you appear to unite the ideas which in turn help to make the conclusion. For now I will, no doubt subscribe to your position however trust in the future you connect the dots much better. Hi, Neat post. There is an issue together with your web site in internet explorer, could check this?K IE nonetheless is the marketplace leader and a good component of other people will pass over your wonderful writing because of this problem. I really lucky to find this website on bing, just what I was searching for : D besides saved to bookmarks. Hey would you mind letting me know which webhost you’re utilizing? I’ve loaded your blog in 3 different internet browsers and I must say this blog loads a lot quicker then most. Can you suggest a good web hosting provider at a fair price? Cheers, I appreciate it! Hi, i feel that i saw you visited my weblog so i came to “return the want”.I’m attempting to to find issues to enhance my web site!I assume its good enough to use some of your concepts!! Hi, Neat post. There is an issue with your site in internet explorer, could check this?K IE nonetheless is the market chief and a huge element of people will omit your excellent writing due to this problem. There are actually a variety of particulars like that to take into consideration. That could be a nice level to carry up. I offer the thoughts above as general inspiration however clearly there are questions just like the one you deliver up where the most important factor shall be working in honest good faith. I don?t know if best practices have emerged round things like that, but I am sure that your job is clearly recognized as a good game. Both girls and boys really feel the impression of just a moment’s pleasure, for the remainder of their lives. Hi there, i read your blog occasionally and i own a similar one and i was just curious if you get a lot of spam comments? If so how do you prevent it, any plugin or anything you can advise? I get so much lately it’s driving me crazy so any help is very much appreciated. Someone necessarily help to make seriously posts I might state. That is the very first time I frequented your website page and to this point? I surprised with the analysis you made to create this actual put up amazing. Great task! Hey, you used to write excellent, but the last few posts have been kinda boringK I miss your super writings. Past several posts are just a little out of track! come on! I believe this website contains very wonderful written written content blog posts. Do you have a spam problem on this website; I also am a blogger, and I was curious about your situation; many of us have created some nice practices and we are looking to exchange techniques with others, be sure to shoot me an email if interested. I’ve been absent for some time, but now I remember why I used to love this website. Thanks, I?¦ll try and check back more frequently. How frequently you update your web site? Thank you for your entire labor on this website. My mum takes pleasure in setting aside time for research and it is easy to see why. I know all concerning the dynamic method you create very helpful guidelines through your web blog and therefore welcome response from some others on that concern so our own daughter is in fact learning so much. Take advantage of the remaining portion of the year. Your conducting a stunning job. hey there and thank you for your info – I have definitely picked up anything new from right here. I did however expertise some technical issues using this site, as I experienced to reload the web site lots of times previous to I could get it to load correctly. I had been wondering if your web host is OK? Not that I’m complaining, but slow loading instances times will sometimes affect your placement in google and could damage your high quality score if ads and marketing with Adwords. Well I’m adding this RSS to my e-mail and can look out for much more of your respective exciting content. Ensure that you update this again very soon..
F*ckin’ remarkable issues here. I am very happy to see your article. Thank you a lot and i am looking forward to contact you. Will you please drop me a mail? Hi, i think that i noticed you visited my blog so i came to “return the prefer”.I’m trying to to find issues to improve my web site!I assume its good enough to use a few of your ideas!! Hello, Neat post. There is a problem together with your site in web explorer, might check thisK IE nonetheless is the market chief and a big component of folks will omit your magnificent writing due to this problem. Howdy very nice site!! Guy .. Excellent .. Amazing .. I’ll bookmark your web site and take the feeds additionally…I am glad to seek out so many useful info right here within the put up, we want work out extra techniques on this regard, thank you for sharing. Thank you for every other wonderful post. Where else may just anybody get that type of info in such a perfect method of writing? I’ve a presentation subsequent week, and I am at the look for such information. I have been exploring for a bit for any high quality articles or weblog posts in this kind of house . Exploring in Yahoo I at last stumbled upon this site. Studying this information So i am happy to express that I’ve a very excellent uncanny feeling I came upon just what I needed. I so much surely will make certain to do not omit this site and give it a look on a relentless basis. Thank you for another great article. Where else may just anybody get that type of info in such a perfect means of writing? I’ve a presentation next week, and I’m at the look for such info. You have remarked very interesting details! ps nice web site. “The length of a film should be directly related to the endurance of the human bladder.” by Alfred Hitchcock. I’m still learning from you, but I’m trying to reach my goals. I definitely liked reading everything that is written on your website.Keep the tips coming. I liked it! Wonderful web site. Plenty of useful info here. I am sending it to several friends ans also sharing in delicious. And of course, thanks for your effort! This web site is my aspiration, very great style and design and perfect written content. Normally I don’t learn post on blogs, but I wish to say that this write-up very forced me to check out and do so! Your writing style has been amazed me. Thanks, quite great post. Everyone loves what you guys are usually up too. This type of clever work and exposure! Keep up the fantastic works guys I’ve incorporated you guys to our blogroll. I conceive other website owners should take this site as an example , very clean and good user friendly layout. Thanks, I have just been searching for information about this topic for a long time and yours is the greatest I have discovered so far. However, what concerning the bottom line? Are you sure concerning the supply? Hello, i think that i noticed you visited my web site thus i came to “return the prefer”.I’m attempting to to find issues to enhance my site!I assume its adequate to use some of your ideas!! Thank you for another magnificent post. Where else could anyone get that kind of info in such an ideal way of writing? I’ve a presentation next week, and I am on the look for such information. Hey very cool web site!! Man .. Beautiful .. Amazing .. I will bookmark your web site and take the feeds also…I am happy to find so many useful info here in the post, we need work out more strategies in this regard, thanks for sharing. . . . . . I genuinely enjoy looking through on this website , it has wonderful articles. “Sometime they’ll give a war and nobody will come.” by Carl Sandburg. Great – I should certainly pronounce, impressed with your site. I had no trouble navigating through all tabs and related info ended up being truly easy to do to access. I recently found what I hoped for before you know it in the least. Quite unusual. Is likely to appreciate it for those who add forums or anything, website theme . a tones way for your client to communicate. Excellent task..
Really enjoyed this article, how can I make is so that I receive an update sent in an email when you publish a fresh update? Hello, Neat post. There is an issue along with your website in web explorer, could test thisK IE still is the market chief and a huge component of other people will omit your great writing due to this problem. Excellent website. Lots of helpful info here. I?¦m sending it to some buddies ans additionally sharing in delicious. And certainly, thanks to your sweat! Pero contamos con algo mejor que una bola de cristal para prever qué puede fallar en tu hogar y cuánto te puede costar repararlo: la estadística que extraemos de las miles de reparaciones de todos los gremios que llevamos a cabo cada semana en toda España. La fontanería de tu hogar es delicada y te surte de agua varias veces al día en distintos puntos de la casa. Como ejemplo, cuando Daniel Izquierdo entró en Garbitec, lo hizo para trabajar en taller pero como los clientes exigían control de calidad y medición de las piezas, realizó un cursillo de medición con máquina tridimensional y estuvo durante año y medio encargándose de esa tarea. We’re a group of volunteers and opening a new scheme in our community. Your web site offered us with helpful information to paintings on. You’ve performed an impressive task and our entire community will likely be grateful to you. Hello there, You’ve performed an incredible job. I will definitely digg it and in my view recommend to my friends. I am sure they will be benefited from this web site. you are in reality a good webmaster. The site loading pace is amazing. It kind of feels that you are doing any distinctive trick. Moreover, The contents are masterwork. you have done a excellent task in this topic! I’ve been browsing on-line greater than 3 hours nowadays, but I by no means found any attention-grabbing article like yours. It is beautiful worth enough for me. Personally, if all webmasters and bloggers made good content as you probably did, the web will probably be much more helpful than ever before. “Revolution is not a onetime event.” by Audre Lorde. Hello.This article was extremely fascinating, particularly because I was looking for thoughts on this topic last Wednesday. It is in point of fact a great and helpful piece of info. I am satisfied that you just shared this useful info with us. Please stay us informed like this. Thanks for sharing. of course like your website but you need to take a look at the spelling on several of your posts. A number of them are rife with spelling problems and I to find it very troublesome to tell the reality on the other hand I will certainly come again again. I conceive this internet site has some rattling fantastic info for everyone :D. “Morality, like art, means a drawing a line someplace.” by Oscar Wilde. Hiya, I’m really glad I have found this info. Nowadays bloggers publish only about gossips and internet and this is actually irritating. A good website with exciting content, that’s what I need. Thanks for keeping this site, I’ll be visiting it. Do you do newsletters? Cant find it. Valuable info. Lucky me I found your site accidentally, and I am stunned why this twist of fate didn’t took place in advance! I bookmarked it. I am happy that I found this blog, exactly the right info that I was searching for! . you have got a great blog right here! would you wish to make some invite posts on my blog? I’ve been browsing online more than three hours these days, yet I never found any attention-grabbing article like yours. It?¦s pretty value sufficient for me. Personally, if all website owners and bloggers made good content material as you did, the net will likely be much more useful than ever before. You made a number of fine points there. I did a search on the topic and found mainly persons will consent with your blog. Howdy! Someone in my Facebook group shared this website with us so I came to give it a look. I’m definitely loving the information. I’m bookmarking and will be tweeting this to my followers! Fantastic blog and amazing style and design. whoah this blog is magnificent i love reading your posts. Keep up the great work! You know, a lot of people are looking around for this info, you could help them greatly. I conceive other website proprietors should take this website as an example , very clean and superb user genial design. I don’t usually comment but I gotta state thanks for the post on this one : D.
Some genuinely great info , Sword lily I detected this. Good day I am so thrilled I found your weblog, I really found you by mistake, while I was browsing on Askjeeve for something else, Anyhow I am here now and would just like to say thanks a lot for a remarkable post and a all round entertaining blog (I also love the theme/design), I don’t have time to look over it all at the moment but I have book-marked it and also added in your RSS feeds, so when I have time I will be back to read more, Please do keep up the awesome job. I carry on listening to the news broadcast lecture about receiving free online grant applications so I have been looking around for the best site to get one. Could you advise me please, where could i get some? much more neatly-liked than you might be now. You’re so intelligent. Great post. I was checking continuously this blog and I’m impressed! Very useful info specially the last part 🙂 I care for such information much. I was seeking this particular info for a long time. Thank you and good luck. You made some decent factors there. I looked on the web for the issue and located most individuals will go together with with your website. I think this website has got some rattling superb info for everyone :D. “Anybody who watches three games of football in a row should be declared brain dead.” by Erma Bombeck. whoah this blog is excellent i love studying your posts. Keep up the great paintings! You know, many individuals are looking around for this info, you can help them greatly. Very good blog you have here but I was wondering if you knew of any community forums that cover the same topics discussed in this article? I’d really like to be a part of online community where I can get comments from other experienced people that share the same interest. If you have any suggestions, please let me know. Thanks a lot! My partner and I stumbled over here coming from a different website and thought I might as well check things out. I like what I see so now i am following you. Look forward to looking into your web page for a second time. I just couldn’t leave your site prior to suggesting that I extremely loved the standard info an individual supply on your guests? Is going to be back often in order to inspect new posts. I like this blog very much, Its a very nice situation to read and receive information. There are certainly plenty of particulars like that to take into consideration. That is a nice level to convey up. I supply the ideas above as basic inspiration however clearly there are questions just like the one you carry up the place crucial thing will be working in honest good faith. I don?t know if best practices have emerged around issues like that, however I’m certain that your job is clearly recognized as a good game. Both boys and girls feel the impression of only a second’s pleasure, for the remainder of their lives. Excellent post. I was checking constantly this weblog and I’m impressed! Very helpful information specifically the closing section 🙂 I handle such info a lot. I used to be seeking this particular info for a long time. Thank you and best of luck. Very interesting points you have remarked, thankyou for posting. “Custom is the great guide of human life.” by David Hume. hello!,I like your writing so a lot! percentage we be in contact more approximately your post on AOL? I require an expert on this area to solve my problem. Maybe that’s you! Having a look forward to peer you. Hmm it seems like your website ate my first comment (it was extremely long) so I guess I’ll just sum it up what I had written and say, I’m thoroughly enjoying your blog. I too am an aspiring blog blogger but I’m still new to the whole thing. Do you have any tips and hints for rookie blog writers? I’d definitely appreciate it. We’re a gaggle of volunteers and opening a new scheme in our community. Your site provided us with useful info to paintings on. You have done a formidable process and our whole community can be grateful to you. Thanks for any other excellent post. The place else could anyone get that type of info in such an ideal means of writing? I have a presentation subsequent week, and I’m at the search for such information. Thanks , I’ve recently been looking for information approximately this topic for ages and yours is the best I’ve found out so far. However, what about the bottom line? Are you certain about the source? Hi there, I discovered your blog via Google while searching for a comparable matter, your site came up, it appears good. Can I just say what a relief to discover somebody that actually understands what they’re discussing over the internet. in writing this blog. I’m hoping to view the same high-grade blog posts by you later on as well. I have been surfing online greater than 3 hours today, but I by no means found any interesting article like yours. It is beautiful worth enough for me. In my opinion, if all webmasters and bloggers made excellent content material as you probably did, the web can be a lot more useful than ever before. as this moment i am reading this great educational post here at my house. extra about your article on AOL? I need an expert on this area to resolve my problem. After exploring a number of the blog articles on your web page, I truly like your way of blogging. I wonder how a lot attempt you set to create one of these wonderful informative web site. I believe other website proprietors should take this internet site as an example , very clean and good user pleasant pattern. You really make it seem so easy with your presentation however I in finding this topic to be actually one thing which I feel I’d never understand. It kind of feels too complex and extremely large for me. I am taking a look ahead in your next put up, I¦ll attempt to get the hold of it! Hiya, I am really glad I have found this info. Today bloggers publish only about gossips and web and this is actually irritating. A good website with interesting content, this is what I need. Thank you for keeping this web site, I will be visiting it. Do you do newsletters? Can not find it. Somebody necessarily lend a hand to make critically articles I’d state. That is the very first time I frequented your web page and so far? I amazed with the research you made to make this particular put up extraordinary. Wonderful task! Appreciate it for helping out, excellent information. “The health of nations is more important than the wealth of nations.” by Will Durant. It is appropriate time to make some plans for the long run and it is time to be happy. I’ve read this put up and if I may just I wish to counsel you few interesting issues or suggestions. Maybe you can write next articles referring to this article. I wish to read more things about it! You really make it seem really easy along with your presentation but I find this matter to be actually something which I think I would never understand. It seems too complex and very large for me. I’m taking a look forward to your next put up, I will attempt to get the hold of it! Throughout this grand pattern of things you secure an A+ just for hard work. Where exactly you actually misplaced everybody was in your particulars. As it is said, details make or break the argument.. And it could not be more true in this article. Having said that, let me reveal to you exactly what did do the job. Your authoring is pretty convincing which is probably why I am taking the effort to comment. I do not make it a regular habit of doing that. 2nd, despite the fact that I can easily notice a leaps in reason you come up with, I am not necessarily confident of exactly how you appear to unite your ideas which help to make the final result. For the moment I will subscribe to your position but hope in the future you connect the dots better. Just wish to say your article is as astonishing. The clearness for your post is simply spectacular and i could assume you are an expert on this subject. Fine along with your permission let me to grasp your feed to stay updated with forthcoming post. Thank you one million and please keep up the gratifying work. about online. You actually realize how to bring a problem to light and make it important. side of the story. I can’t believe you’re not more popular given that you definitely possess the gift. What i don’t realize is in fact how you are now not really a lot more smartly-liked than you may be right now. You’re very intelligent. You recognize thus significantly relating to this topic, produced me for my part believe it from numerous numerous angles. Its like men and women aren’t interested except it’s one thing to accomplish with Lady gaga! Your individual stuffs great. Always deal with it up! Great goods from you, man. I have understand your stuff previous to and you are just extremely magnificent. I actually like what you’ve acquired here, really like what you are saying and the way in which you say it. You make it enjoyable and you still take care of to keep it sensible. I cant wait to read much more from you. This is really a great site. Aw, this was a very nice post. In idea I wish to put in writing like this additionally – taking time and precise effort to make a very good article… however what can I say… I procrastinate alot and on no account seem to get one thing done. I do like the way you have presented this particular problem and it does provide us a lot of fodder for thought. On the other hand, because of what precisely I have witnessed, I simply hope when the reviews pile on that people today continue to be on issue and in no way start upon a tirade involving some other news du jour. Anyway, thank you for this fantastic piece and although I can not necessarily concur with it in totality, I regard the standpoint. I like what you guys are usually up too. This sort of clever work and exposure! Keep up the terrific works guys I’ve incorporated you guys to my personal blogroll. I?¦ve learn a few excellent stuff here. Certainly worth bookmarking for revisiting. I wonder how so much effort you place to make this kind of fantastic informative site. I really like what you guys tend to be up too. This kind of clever work and coverage! Keep up the great works guys I’ve you guys to blogroll. Great – I should certainly pronounce, impressed with your site. I had no trouble navigating through all the tabs and related info ended up being truly simple to do to access. I recently found what I hoped for before you know it at all. Reasonably unusual. Is likely to appreciate it for those who add forums or anything, site theme . a tones way for your customer to communicate. Nice task.. Appreciation to my father who stated to me concerning this website, this blog is truly awesome. whoah this blog is magnificent i love reading your posts. Keep up the great work! You know, a lot of people are searching around for this information, you could help them greatly. I?¦ll immediately seize your rss feed as I can’t in finding your email subscription link or newsletter service. Do you have any? Please allow me understand so that I may just subscribe. Thanks. After I originally commented I clicked the -Notify me when new feedback are added- checkbox and now every time a comment is added I get four emails with the identical comment. Is there any way you possibly can take away me from that service? Thanks! I’m typically to running a blog and i really respect your content. The article has actually peaks my interest. I’m going to bookmark your site and hold checking for new information. Aw, this was a really nice post. In thought I wish to put in writing like this moreover – taking time and actual effort to make a very good article… however what can I say… I procrastinate alot and in no way appear to get one thing done. Hello, you used to write magnificent, but the last several posts have been kinda boring?K I miss your tremendous writings. Past several posts are just a little out of track! come on! of course like your web-site but you have to check the spelling on several of your posts. A number of them are rife with spelling issues and I find it very troublesome to tell the truth nevertheless I will surely come back again. Simply want to say your article is as astounding. The clarity on your publish is just spectacular and i can assume you’re knowledgeable in this subject. Well with your permission allow me to seize your feed to keep up to date with forthcoming post. Thanks one million and please keep up the rewarding work. Hi there very cool site!! Guy .. Excellent .. Amazing .. I will bookmark your blog and take the feeds also…I am satisfied to search out so many useful info here within the publish, we want develop more techniques on this regard, thank you for sharing. Well I really enjoyed reading it. This information offered by you is very useful for proper planning. hey there and thank you for your information – I’ve certainly picked up something new from right here. I did however expertise some technical points using this site, as I experienced to reload the site a lot of times previous to I could get it to load properly. I had been wondering if your hosting is OK? Not that I am complaining, but sluggish loading instances times will sometimes affect your placement in google and can damage your high quality score if ads and marketing with Adwords. Anyway I am adding this RSS to my e-mail and can look out for much more of your respective intriguing content. Make sure you update this again soon..
Hi! I know this is kinda off topic nevertheless I’d figured I’d ask. Would you be interested in exchanging links or maybe guest writing a blog post or vice-versa? My website discusses a lot of the same topics as yours and I feel we could greatly benefit from each other. If you are interested feel free to shoot me an email. I look forward to hearing from you! Superb blog by the way! i am reading this wonderful educational article here at my house. I and my friends happened to be digesting the nice key points from your web page then all of a sudden got a horrible suspicion I had not thanked the web blog owner for those strategies. Most of the young men had been certainly excited to see them and have in effect without a doubt been tapping into those things. Thanks for truly being really thoughtful and for opting for variety of fabulous issues most people are really eager to understand about. My personal honest regret for not expressing appreciation to you earlier. Keep up the superb work, I read few posts on this internet site and I conceive that your site is rattling interesting and contains bands of excellent information. Every weekend i used to pay a visit this website, because i want enjoyment, for the reason that this this site conations actually pleasant funny data too. Helpful information. Lucky me I found your site by accident, and I am surprised why this accident didn’t took place in advance! I bookmarked it. Simply want to say your article is as amazing. The clarity on your post is just cool and i can assume you’re knowledgeable on this subject. Well with your permission allow me to grasp your feed to keep updated with forthcoming post. Thank you one million and please carry on the rewarding work. Only wanna comment on few general things, The website style is perfect, the subject matter is really fantastic. “We can only learn to love by loving.” by Iris Murdoch. I am no longer positive the place you are getting your info, but great topic. I needs to spend a while finding out more or working out more. Thanks for fantastic information I used to be searching for this info for my mission. Pretty component to content. I just stumbled upon your website and in accession capital to claim that I acquire actually loved account your weblog posts. Any way I will be subscribing to your feeds or even I fulfillment you get right of entry to consistently quickly. I believe this internet site contains very excellent composed written content blog posts. obviously like your web-site however you need to check the spelling on quite a few of your posts. Several of them are rife with spelling issues and I find it very troublesome to inform the reality nevertheless I’ll certainly come back again. I am lucky that I discovered this web site, exactly the right info that I was looking for! . You could definitely see your enthusiasm in the work you write. The sector hopes for more passionate writers like you who are not afraid to mention how they believe. All the time follow your heart. “What power has law where only money rules.” by Gaius Petronius. Superb site you have here but I was wondering if you knew of any user discussion forums that cover the same topics talked about in this article? I’d really like to be a part of community where I can get opinions from other experienced people that share the same interest. If you have any suggestions, please let me know. Thanks! Thank you for some other magnificent article. Where else could anybody get that kind of info in such an ideal manner of writing? I’ve a presentation subsequent week, and I am on the look for such information. Attractive portion of content. I simply stumbled upon your site and in accession capital to say that I get in fact loved account your weblog posts. Anyway I’ll be subscribing on your feeds or even I success you get entry to persistently fast. Heya i’m for the primary time here. I came across this board and I to find It really useful & it helped me out much. I am hoping to offer something back and aid others like you aided me. It¦s actually a nice and useful piece of information. I am satisfied that you just shared this useful info with us. Please stay us up to date like this. Thank you for sharing. Hey there would you mind stating which blog platform you’re using? I’m planning to start my own blog in the near future but I’m having a hard time selecting between BlogEngine/Wordpress/B2evolution and Drupal. The reason I ask is because your design seems different then most blogs and I’m looking for something completely unique. P.S Apologies for getting off-topic but I had to ask! Admiring the time and energy you put into your website and in depth information you provide. It’s good to come across a blog every once in a while that isn’t the same unwanted rehashed information. Great read! I’ve bookmarked your site and I’m including your RSS feeds to my Google account. I’m still learning from you, but I’m making my way to the top as well. I absolutely liked reading everything that is posted on your blog.Keep the stories coming. I enjoyed it! Very informative and superb bodily structure of written content, now that’s user friendly (:. I am not certain where you’re getting your information, however great topic. I needs to spend a while studying more or working out more. Thank you for excellent info I was in search of this information for my mission. Somebody necessarily help to make significantly articles I might state. This is the very first time I frequented your web page and so far? I amazed with the analysis you made to create this particular publish incredible. Great activity! I definitely wanted to write down a message so as to appreciate you for all of the wonderful secrets you are sharing on this site. My time consuming internet research has now been honored with good quality tips to exchange with my classmates and friends. I ‘d repeat that most of us visitors are unquestionably endowed to live in a decent website with so many wonderful people with helpful concepts. I feel pretty blessed to have come across your web site and look forward to tons of more thrilling times reading here. Thanks once more for a lot of things. I was just looking for this info for some time. After 6 hours of continuous Googleing, at last I got it in your website. I wonder what’s the lack of Google strategy that do not rank this type of informative sites in top of the list. Normally the top websites are full of garbage. It’s going to be finish of mine day, but before finish I am reading this fantastic article to improve my know-how. this website dailly and get fastidious data from here everyday. Hello, i believe that i saw you visited my website thus i got here to “return the choose”.I am trying to in finding things to enhance my site!I guess its ok to use some of your ideas!! Very interesting topic, appreciate it for posting. “We need not think alike to love alike.” by Francis David. I will immediately seize your rss feed as I can not to find your email subscription hyperlink or e-newsletter service. Do you have any? Kindly let me recognise so that I may just subscribe. Thanks. I actually loved the usual info a person provide in your guests? Whats Taking place i am new to this, I stumbled upon this I have found It positively useful and it has helped me out loads. I’m hoping to contribute & aid other users like its helped me. Great job. Do you mind if I quote a few of your posts as long as I provide credit and sources back to your site? My blog site is in the exact same niche as yours and my users would definitely benefit from some of the information you present here. Please let me know if this ok with you. Thanks! I wanted to type a brief message to be able to say thanks to you for all of the fantastic tips you are posting here. My time intensive internet look up has now been paid with useful insight to share with my friends. I would mention that we site visitors are very much lucky to dwell in a superb site with very many brilliant professionals with interesting things. I feel truly blessed to have discovered your entire site and look forward to plenty of more pleasurable times reading here. Thank you once again for everything. Hi, Neat post. There’s a problem along with your web site in web explorer, may check this?K IE still is the market chief and a large section of other people will pass over your wonderful writing because of this problem. whoah this weblog is great i like reading your posts. Keep up the great paintings! You realize, a lot of persons are searching round for this info, you can aid them greatly. Fantastic goods from you, man. I’ve understand your stuff previous to and you’re just extremely fantastic. I actually like what you have acquired here, certainly like what you’re stating and the way in which you say it. You make it entertaining and you still take care of to keep it sensible. I can’t wait to read far more from you. This is actually a tremendous website. hi!,I really like your writing very a lot! share we be in contact more approximately your article on AOL? I need a specialist in this space to resolve my problem. Maybe that’s you! Looking forward to look you. hi!,I really like your writing very so much! proportion we keep in touch extra approximately your post on AOL? I require a specialist in this space to solve my problem. May be that is you! Having a look forward to see you. I believe this site contains very fantastic written content blog posts. Wonderful website. Plenty of helpful information here. I¦m sending it to some friends ans also sharing in delicious. And of course, thanks on your effort! Hello, Neat post. There’s a problem along with your site in web explorer, may test this… IE nonetheless is the marketplace leader and a big component to folks will pass over your magnificent writing due to this problem. I’ve been surfing online more than 3 hours today, but I by no means found any interesting article like yours. It is lovely price sufficient for me. In my view, if all webmasters and bloggers made good content as you probably did, the net can be a lot more useful than ever before. It’s truly a nice and helpful piece of information. I’m happy that you just shared this useful info with us. Please stay us up to date like this. Thanks for sharing. I cherished as much as you’ll receive carried out right here. The sketch is attractive, your authored material stylish. nonetheless, you command get got an edginess over that you wish be handing over the following. sick undoubtedly come further formerly again as exactly the similar nearly a lot frequently within case you defend this increase. Very nice post. I just stumbled upon your blog and wished to say that I’ve really loved surfing around your blog posts. After all I will be subscribing on your rss feed and I’m hoping you write once more soon! It is perfect time to make a few plans for the future and it’s time to be happy. I have read this post and if I could I desire to counsel you few attention-grabbing issues or tips. Perhaps you could write subsequent articles referring to this article. I want to learn even more things approximately it! Very well written story. It will be beneficial to anybody who utilizes it, including me. Keep up the good work – looking forward to more posts. Excellent website. Plenty of useful info here. I’m sending it to some friends ans also sharing in delicious. And obviously, thanks for your effort! I used to be very pleased to search out this web-site.I needed to thanks in your time for this glorious read!! I positively having fun with every little little bit of it and I have you bookmarked to take a look at new stuff you blog post. After examine a few of the blog posts in your website now, and I truly like your manner of blogging. I bookmarked it to my bookmark website checklist and will probably be checking again soon. Pls check out my web page as properly and let me know what you think. Whats Happening i am new to this, I stumbled upon this I have found It absolutely helpful and it has helped me out loads. I am hoping to give a contribution & aid other customers like its helped me. Great job. Howdy! Someone in my Facebook group shared this site with us so I came to check it out. I’m definitely enjoying the information. I’m bookmarking and will be tweeting this to my followers! Excellent blog and superb design and style. Attractive element of content. I just stumbled upon your blog and in accession capital to say that I acquire in fact loved account your blog posts. Any way I’ll be subscribing on your feeds and even I fulfillment you access persistently quickly. you’re really a good webmaster. The web site loading speed is incredible. It seems that you are doing any unique trick. Moreover, The contents are masterpiece. you have done a excellent job on this topic! Have you ever considered about including a little bit more than just your articles? I mean, what you say is important and all. However imagine if you added some great images or videos to give your posts more, “pop”! Your content is excellent but with pics and videos, this site could certainly be one of the greatest in its field. Very good blog! I’ve been exploring for a little for any high-quality articles or blog posts in this sort of house . Exploring in Yahoo I eventually stumbled upon this site. Reading this info So i’m glad to convey that I have a very just right uncanny feeling I came upon just what I needed. I most surely will make certain to do not put out of your mind this web site and provides it a look regularly. I enjoy what you guys tend to be up too. Such clever work and exposure! Keep up the great works guys I’ve you guys to blogroll. you’re in point of fact a excellent webmaster. The web site loading speed is amazing. It sort of feels that you’re doing any unique trick. Moreover, The contents are masterpiece. you’ve done a excellent process on this subject! It is truly a nice and useful piece of information. I’m happy that you shared this helpful information with us. Please keep us informed like this. Thank you for sharing. I was reading through some of your blog posts on this internet site and I think this web site is real instructive! Keep putting up. I conceive other website proprietors should take this site as an example , very clean and excellent user genial pattern. I enjoy what you guys are usually up too. This type of clever work and exposure! Keep up the wonderful works guys I’ve you guys to blogroll. Hi, Neat post. There is an issue together with your site in internet explorer, could check this… IE nonetheless is the market chief and a huge component to other folks will leave out your wonderful writing due to this problem. I’m very happy to discover this page. I want to to thank you for your time due to this wonderful read!! I definitely loved every bit of it and I have you book marked to see new stuff in your website. Well I definitely liked reading it. This tip procured by you is very helpful for correct planning. subject. Well together with your permission let me to grab your RSS feed to keep updated with impending post. Thanks for sharing excellent informations. Your website is very cool. I am impressed by the details that you have on this web site. It reveals how nicely you perceive this subject. Bookmarked this web page, will come back for extra articles. You, my pal, ROCK! I found just the information I already searched everywhere and just could not come across. What a perfect site. I like this web site very much, Its a very nice position to read and obtain info . “What is called genius is the abundance of life and health.” by Henry David Thoreau. With havin so much content and articles do you ever run into any problems of plagorism or copyright infringement? My blog has a lot of completely unique content I’ve either written myself or outsourced but it seems a lot of it is popping it up all over the internet without my permission. Do you know any methods to help stop content from being stolen? I’d truly appreciate it. a few of your posts. Several of them are rife with spelling problems and I in finding it very bothersome to inform the reality then again I will definitely come back again. A powerful share, I just given this onto a colleague who was doing a little evaluation on this. And he in actual fact bought me breakfast as a result of I found it for him.. smile. So let me reword that: Thnx for the treat! But yeah Thnkx for spending the time to discuss this, I really feel strongly about it and love reading extra on this topic. If possible, as you grow to be expertise, would you mind updating your weblog with more details? It’s extremely helpful for me. Huge thumb up for this weblog put up! Hey! Someone in my Facebook group shared this site with us so I came to check it out. I’m definitely enjoying the information. I’m book-marking and will be tweeting this to my followers! Great blog and excellent design. Good – I should certainly pronounce, impressed with your site. I had no trouble navigating through all the tabs and related info ended up being truly easy to do to access. I recently found what I hoped for before you know it at all. Reasonably unusual. Is likely to appreciate it for those who add forums or anything, site theme . a tones way for your client to communicate. Excellent task..
You really make it seem really easy along with your presentation but I to find this topic to be actually something that I think I’d never understand. It kind of feels too complex and very broad for me. I am taking a look forward for your next post, I?¦ll try to get the hang of it! It’s perfect time to make some plans for the future and it’s time to be happy. I’ve read this post and if I could I desire to suggest you some interesting things or tips. Maybe you can write next articles referring to this article. I want to read more things about it! Hi would you mind sharing which blog platform you’re using? I’m going to start my own blog soon but I’m having a hard time choosing between BlogEngine/Wordpress/B2evolution and Drupal. The reason I ask is because your layout seems different then most blogs and I’m looking for something completely unique. P.S Sorry for being off-topic but I had to ask! I have read so many articles on the topic of the blogger lovers except this article is really a pleasant post, keep it up. It’s a shame you don’t have a donate button! I’d without a doubt donate to this superb blog! I guess for now i’ll settle for bookmarking and adding your RSS feed to my Google account. I look forward to new updates and will talk about this site with my Facebook group. Talk soon! I’m still learning from you, as I’m improving myself. I certainly liked reading all that is posted on your blog.Keep the aarticles coming. I enjoyed it! Nice answer back in return of this issue with solid arguments and telling everything concerning that. May I just say what a relief to uncover someone that truly understands what they’re discussing online. Superb blog! Do you have any tips for aspiring writers? I’m hoping to start my own website soon but I’m a little lost on everything. Would you recommend starting with a free platform like WordPress or go for a paid option? There are so many choices out there that I’m completely confused .. Any ideas? Thanks a lot! This web site is my intake, real fantastic style and perfect articles. Nonetheless, I’m definitely happy I discovered it and I’ll be bookmarking it and checking back often! don’t discuss these subjects. To the next! All the best!! I must say you have done a superb job with this. In addition, the blog loads extremely fast for me on Safari. just you please extend them a little from next time?